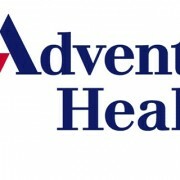 HANFORD − Thanks to a grass-roots effort by nurses and volunteers at Adventist Health / Central Valley Network, patients who are discharged from the Emergency Department will now leave with clothing, and a sense of dignity. In December 2013, Peggy Silva, a case manager for Adventist Medical Center-Hanford, says a homeless patient was given discharge orders but had no clothes, no phone and no family. In these instances, the department has a small container with clothing inside, but it was down to the bare minimum. So, Silva put together what she could and provided the patient with surgery pants. The Central Valley Auxiliary allocated over $1,000 worth of sweats in all different sizes for men and women and even raised money during its Spring Fling luncheon in April. AMC-Reedley had the most success with the clothes drive. The extra clothing came in handy when a patient who was discharged from another hospital, wearing hospital-based yellow paper pants, arrived in the Emergency Department. Reedley staff clothed the person with items from one of the containers. Although the containers are meant for clothing, someone put a stuffed animal inside one. When a young child at AMC-Reedley needed lab work done, a staff member knew just what to do. “The child was very scared, crying,” Silva said, “so somebody knew the stuffed animal was in the bin and they went to retrieve it and gave it to the child.” This kind act helped comfort the child that day. Donations of clothing, socks and shoes can be made to the Emergency Department Clothes Closet by contacting Peggy Silva at 559-537-2396. Monetary donations can also be made to the Foundations at 559-537-0760.